A minute of a meeting of the Warden and Society of Sutton (i.e. 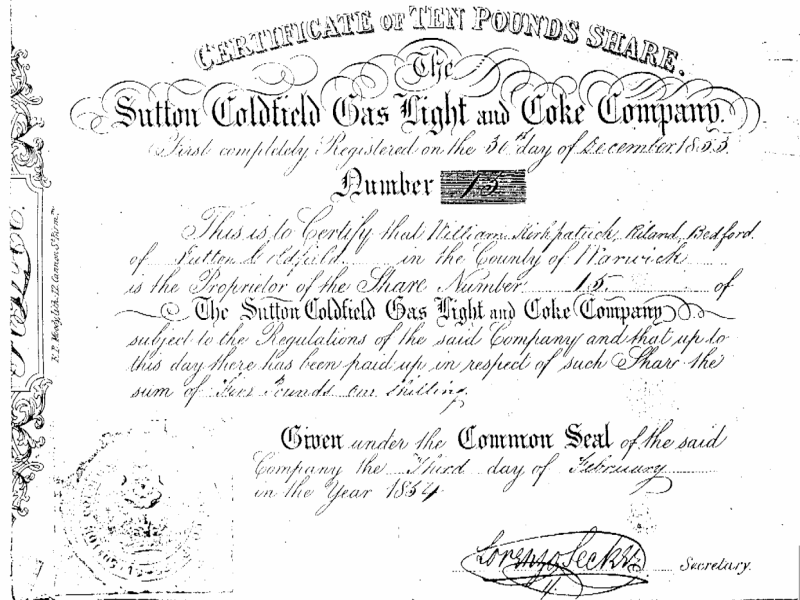 the Corporation) held on September 29 1852 reads: “Mr. Wright, Mr. Bedford and Mr. Parker are deputed to confer with the Gas Committee as to the feasibility of aiding in establishing the gas works”. Most of the local towns already had gas lighting, and it was over fifty years since William Murdoch, the inventor of gas lighting, had first illuminated the entire Soho Manufactory (Boulton and Watt’s famous factory, less than ten miles away from Sutton) with gas lamps, so a gas works for Sutton Coldfield was long overdue. 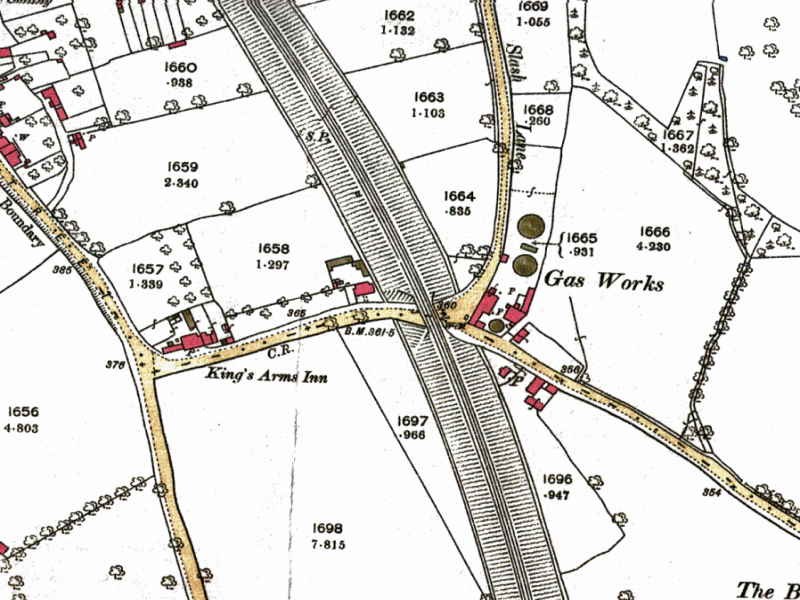 Detail from the 1889 Ordnance Survey 25” map, showing two gas-holders at the works; the railway line was constructed in 1879.